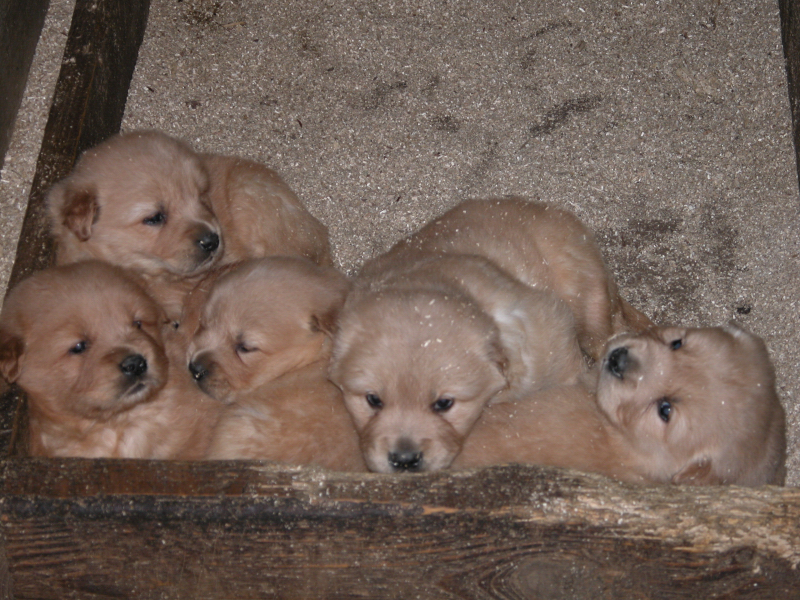 We breed Golden Retrievers for family pets, hunting, showing and service dogs. 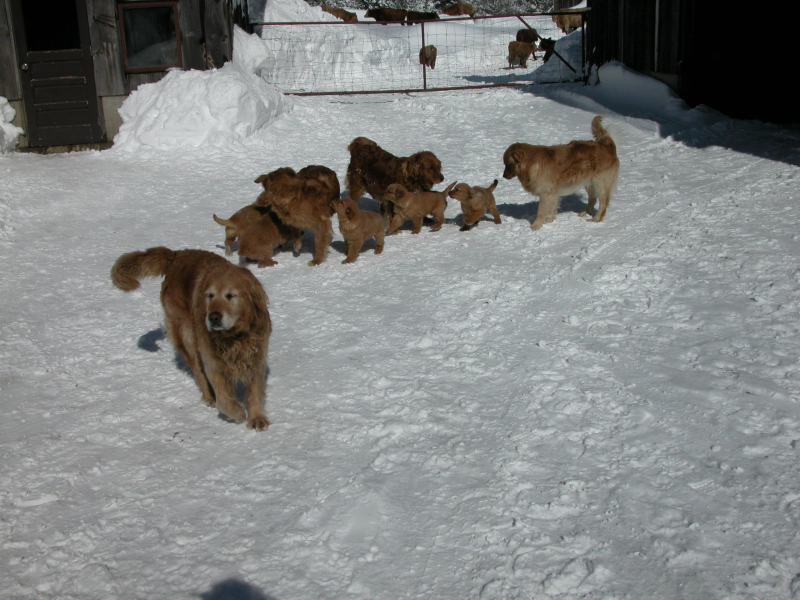 We breed our dogs for health, intelligence, loving disposition, as well as just plain golden beauty. 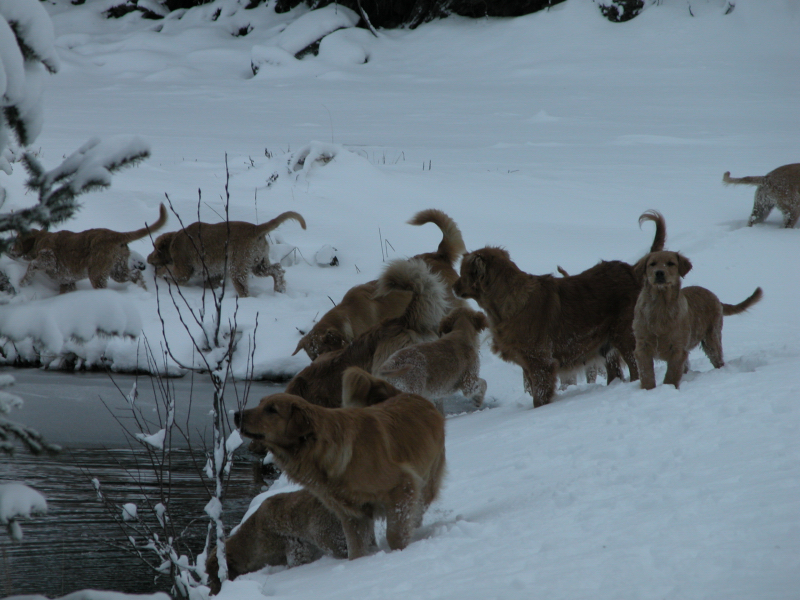 With our breeding line combining hunting, field trials and show qualities, our dogs are healthy, intelligent and unfailingly loyal. When you train them to do something for you, they will persist until they please you. 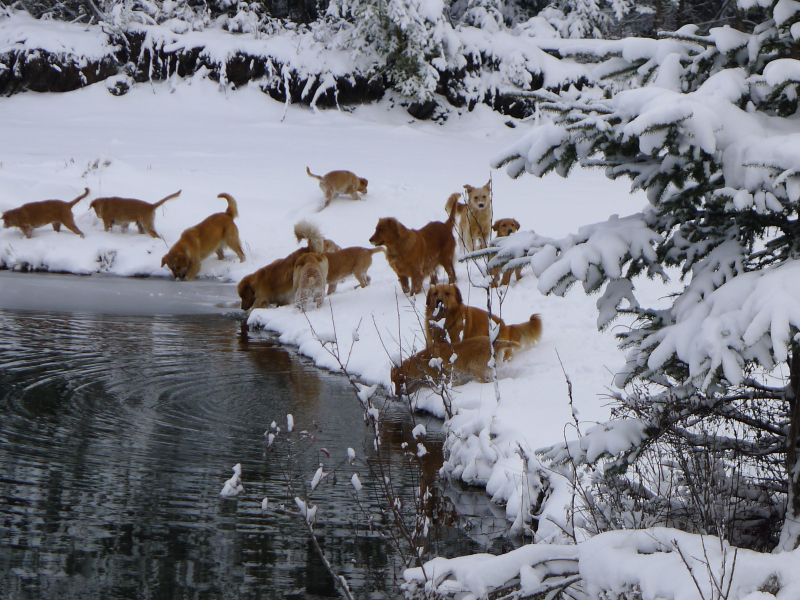 As hunting dogs, they will go through thick and thin for you and not give up. Many of our customers love the breed but have had troubles with its issues such as heart defects or problems with hips and other joints. Our dogs seem to avoid these issues. 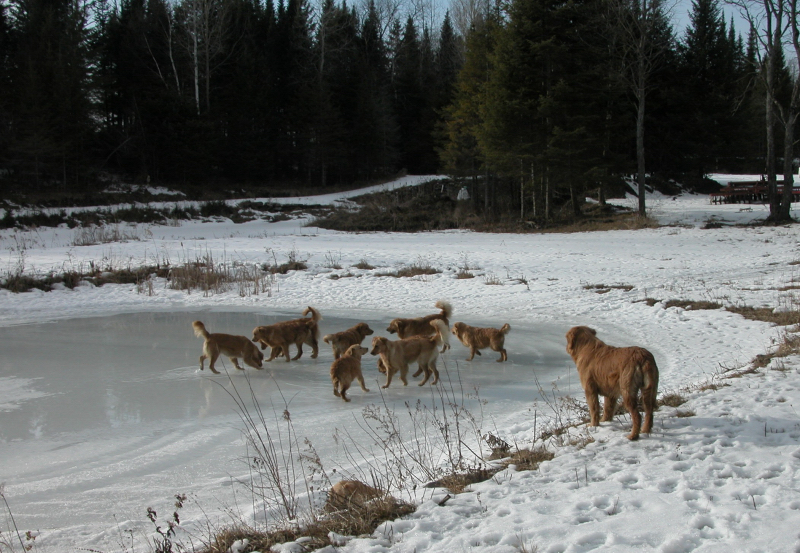 They are naturally healthy, running, swimming and playing on our working farm every day of the year. 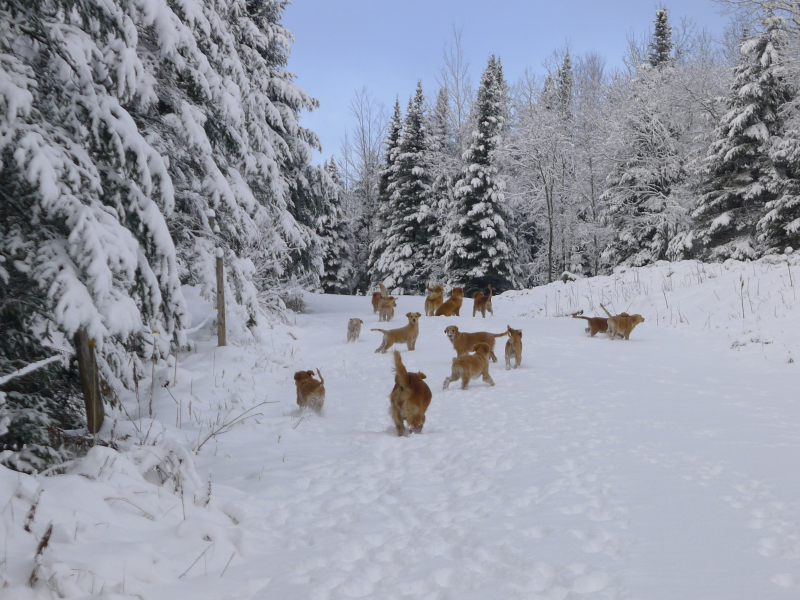 We’ve sold Goldens for a very long time and happy Weller Farm golden retriever owners are all over North America, from Stanstead to Tampa to Vancouver, and in Europe. If you would like to be one of them, please email us and we will send you our availability. Those who have emailed will start receiving pictures after the pups are born and we will start taking deposits when they are 3 weeks old. We can ship you one by air if you’re too far away to drive. If you have a plane, however, and want to fly in to pick up your puppy, our AIRDROME identifier is CTQ2. For more travel information click here! Jake and Soda are doing so well !!!!! Soda graduated top in his class at Puppy Obedience and is working towards as a certified service dog for Jake. How they detect aura’s pre-seizure is unknown but the bond they have is amazing. Soda is a very special friend to Jake, goes to work with him every day, shops at a huge Shaw’s Market and was a big hit at a recent Epilepsy Foundation fund raiser swim in Lake Champlain. We are so happy. Later this week Soda will join Jake at his appointment at Dartmouth Hitchcock Medical Center for a check-up and meet his neurologist. Soda wears a Service Dog vest!!! I lost my dog in December and have been focused on Jake’s health and his adjustment to a huge responsibility with a pet. Now I’m seriously thinking of having a dog/companion once again in my home. Do you have any puppies available? I can call and discuss our thoughts at your convenience. Hope all is well with you. We LOVE Soda !!!! An amazing dog. Anyway, he is 11 now and still as much a puppy as he was 10 years ago. He has never been sick in 11 years. 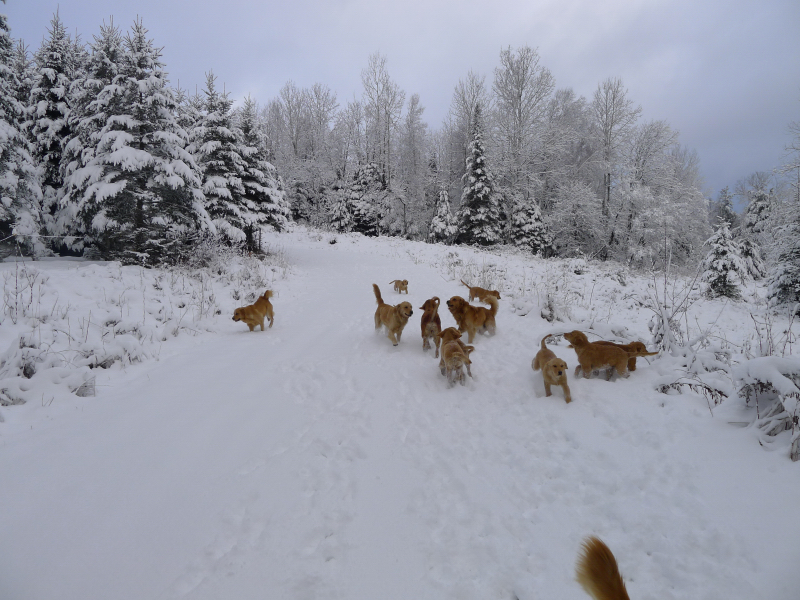 Turned out not to be a tough solution, Spenser the Wonder Mutt has ‘play’ down cold… in a year he had her running through the woods with abandon. My mother-in-law came down with Alzheimer’s and when we saw how comforting the dogs were we had them evaluated and certified as therapy dogs. Spenser spent over a year doing that. Alzheimer’s and senile dementias are emotionally draining not just on people but on dogs as well. By the time Alzheimer’s claimed my mother-in-law both dogs were worn out emotionally and had to be used lightly with frequent breaks. If we get another Golden, your door would be the first one I would knock on! I hope all is well. I just wanted to touch base and let you know my girl Nikki is now 10 and ½ years old and very well. She is still full of life and sometimes forgets how old she is. Her mother was Frisky Love. Is Skywalker still with you? I think he is a few years older than my golden. My girl has had a wonderful life. We only had one problem with her where she had to have ACL surgery but other than that, she has been a healthy dog. I hate to mention of her passing but when that does happen, I will come to you for another pup. 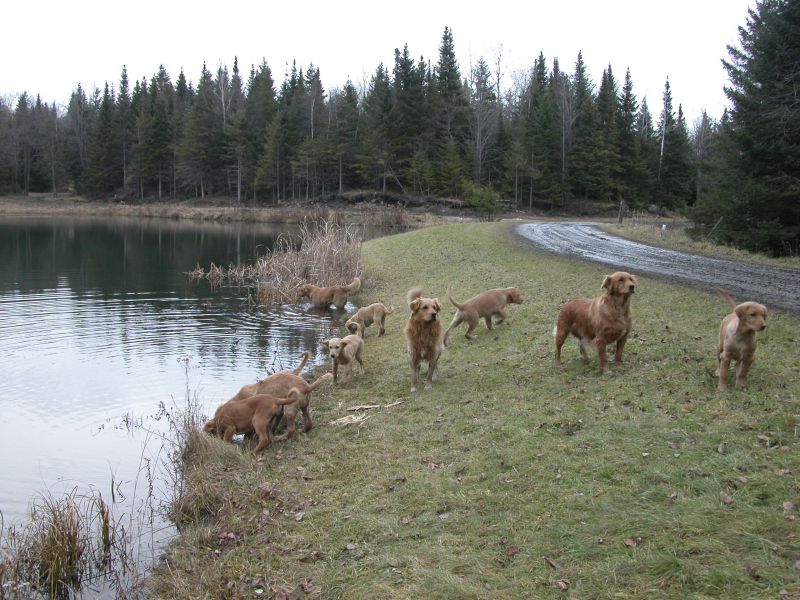 The Sungold line of retrievers is the best there is. 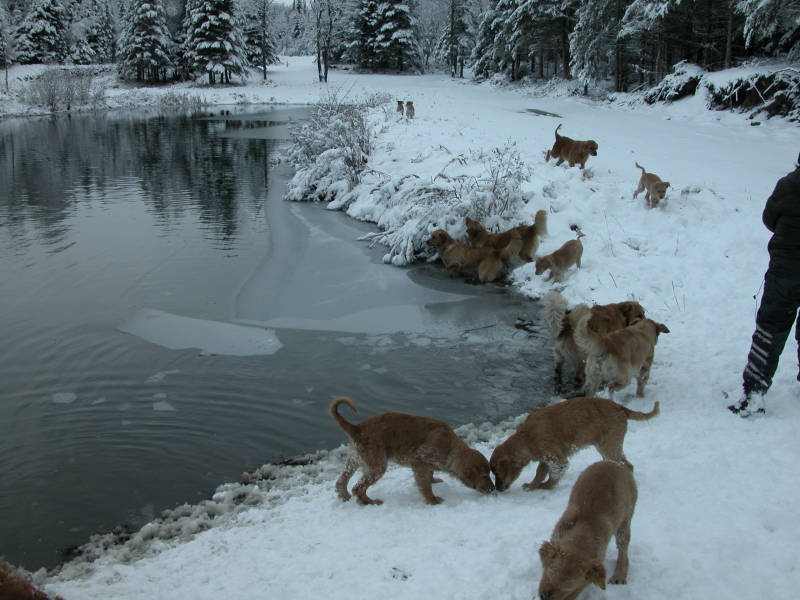 A bit tenacious, but they are healthy dogs that live a long, active life. 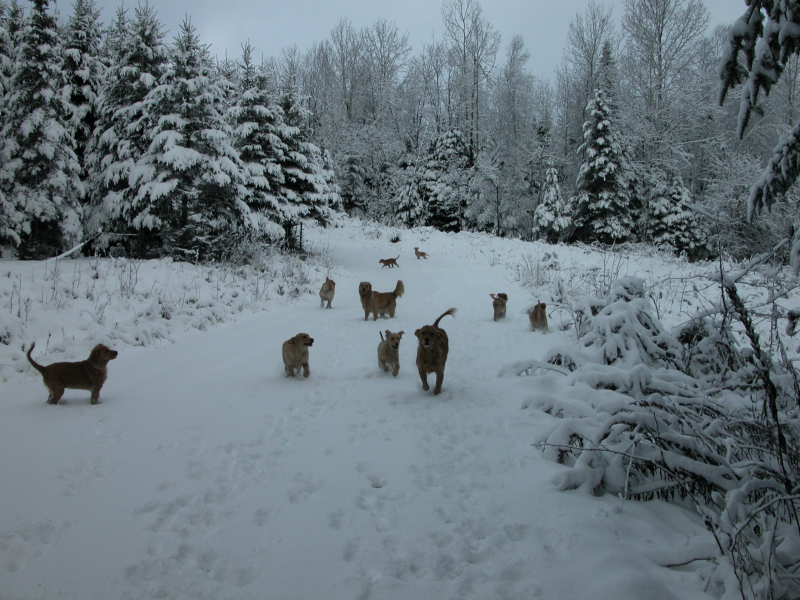 Thank you for breeding good quality dogs. These dogs mean a lot to the owners and losing them before their time to cancer or other diseases is even more heartbreaking than losing them at a ripe old age.